I’ve had this recipe in my files for ages, but never got around to do it. I was waiting to invite some friends and share another calorie attack! It is basically a tiramisu made with mangoes. This MANGOMISU comes from Delicious magazine. I have slightly changed the method. You need a square deep dish or a trifle dish. Place the mascarpone, thickened cream, icing sugar, egg yolks and vanilla seeds in the bowl of an electric mixer and beat on high speed until thick and well combined. Combine the Grand Marnier and orange juice in a separate bowl. Dip half the sponge fingers biscuits into the juice mixture and layer in the base of your dish. 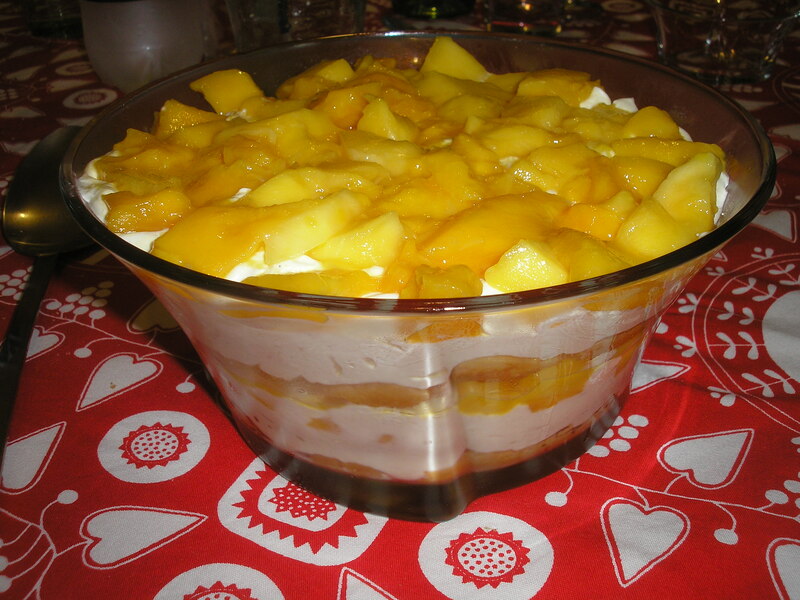 Spread with one-third of the mascarpone mixture, and top with one-third of the cubed mangoes. Repeat the process, finishing with a layer of mangoes. Cover the mangomisu and chill for 2 hours or until firm. I think that it would be nicer if the mangoes were actually mixed with the mascarpone mixture, so the mango flavour would be more intense. 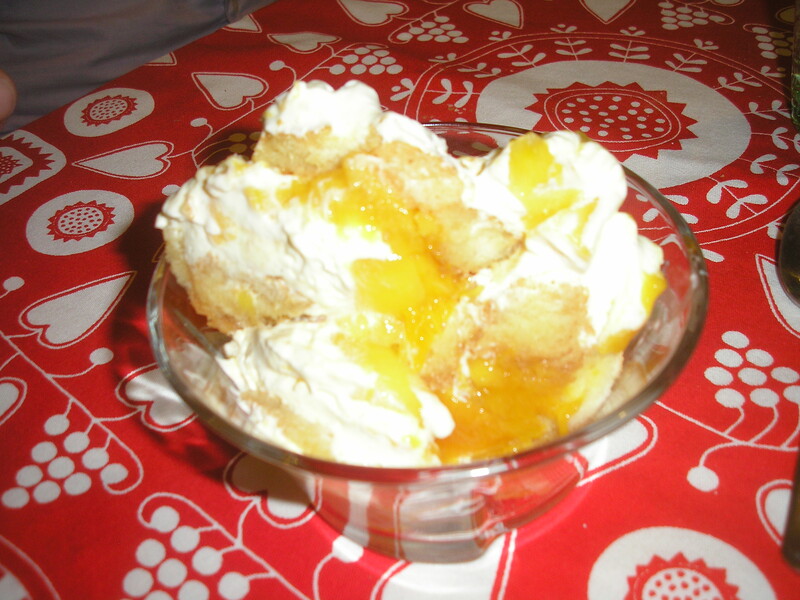 The recipe suggested to serve the mangomisu with a raspberry sauce.